"Who didn’t love cartoons?" he said. "I’m no (cartoonist) Walter Lantz, but I do love doing cartoons that have some consciousness about them. 'Captain Planet' did, and 'Rescue Bots' does as well: pro-social messages for really young kids, all disguised in ‘Transformers’ vehicles, pardon the pun. So it really works for me." But he's still involved in live-action TV, too. Burton played into his geek icon status last year, in back-to-back appearances as himself on geek-friendly comedies "Community" and "The Big Bang Theory," two of Burton's favorite shows. But now, with "Star Trek: The Next Generation" celebrating its 25th anniversary, the actor is reflecting on his role of Geordi LaForge. “I have always been a fan of ‘Star Trek.' I love Gene Roddenberry’s vision of the future," he said. "What Geordi has done for me is cemented in this wonderful mythology, of a character and a presence that I’m absolutely proud of. I’ve really been honored to contribute to the canon, because it meant so much to me as a kid.'" And what about the current series of "Star Trek" films, the second of which is currently in production? Burton said that the entire "Next Generation" cast would love "one final opportunity to really say goodbye," somehow. "I love (J.J. Abrams' 'Trek'). I'm disappointed it ignores our timeline, but it's 'Star Trek.' Perhaps he will find a way to incorporate it and hopefully he does. It's a huge part of the canon. It would be a shame not to acknowledge it." More than anything else, though, Burton is passionate about literacy, and he hopes to relaunch "Reading Rainbow" in digital form. “Our educational system is really crumbling," he said. "So it’s always been part of my agenda to use technology in a way that really stimulates, excites and promotes learning. I'm excited to see how current and future technologies revolutionize the way we learn." Burton said he believes the invention of the mobile phone had to have been inspired by technology seen in "Star Trek," and he calls that a true triumph of geek culture. He had me at Kunta Kinte. LeVar is looking for Sheldon as Spock on an away-mission on an earth-like planet . . . .
LeVar will be at the Star Trek convention in Cherry Hill, NJ (aka Philadelphia) this weekend coming up http://www.creationent.com. We're doing a photo op with him! Yay! Mr. Burton has always been a class act – and a heck of director for many TV shows. The rebooted Star Trek (w/ Chris Pine as Capt. Kirk) is an alternate universe created by that Romulan when he went back into the past as I understand it from JJ Abrams so, there's the main Trek universe still intact so maybe there can be another ST:TNG movie hopefully that can be made and I like to see some DS Nine and Voyager people in it. LaVar, there's still a chance ! Just don't introduce him to Troy Barnes, whatever you do. LeVar Burton; you had me at Reading Rainbow. That bit was so funny ! Thanks for the suggestions about cdeirt repair on your web-site. A few things i would offer as advice to people is usually to give up the actual mentality that they may buy currently and pay out later. As being a society most people tend to try this for many things. This includes getaways, furniture, as well as items we would like. However, you have to separate one's wants from all the needs. While you're working to improve your cdeirt rating score you have to make some trade-offs. For example you may shop online to economize or you can turn to second hand suppliers instead of high-priced department stores to get clothing. I loved Reading Rainbow as a little girl- it wasn't the coolest thing for a 8 yr old to be into books, either. 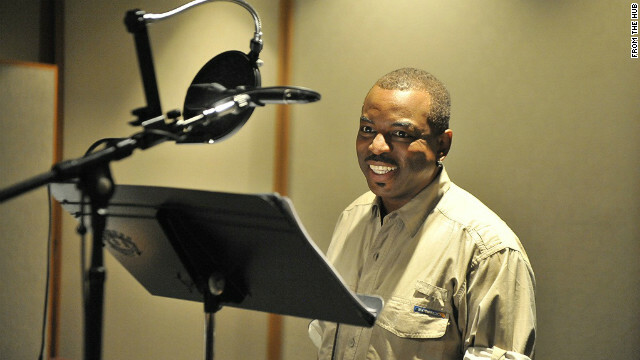 The show made me feel great about reading- and as a host, Le Var Burton was so believable and encouraging. I certainly hope you are reading this, Le Var, thanks for those happy childhood memories! Posted on incredible, that was a very good read. In cclonusion, someone who actually thinks and understands what they are blogging about. Quite difficult to find of late, especially on the web . I bookmarked your web blog and will make sure to keep coming back here if this is how you always write. thank you, keep it up! . I always wanted to see the cast of Star Trek VOYAGER on the big screen. Admiral Janeway makes a cameo, but that's not good enough! cmon, we know. You just want to see 7 of 9 on a giant screen. Can't blame ya. LeVar Burton at his finest: "The Midnight Hour." Pop that sucka into your VCR. I done taught dat levar was already deads?!!! I ddint know he still livin! I just remebers him from roots causn' he had dees big lips and I remebers him from star treks causn' he wore those sunglasses causn' he was to embarrass to be on the show. Not bad for a white guy pretending to be black....idiot. where you be so I can knocks you in da kisser. you hav big lips like levAR? HUH? don't you be makings fun of da ol leroy (101 year ol colored fella). don't you be disrespecting ol leroy now hear?!!! undertand? if'n i sees you, I pulls on your lips so hards day end up looking like poor levar when he was kunta knita. wha your name? Thank you, LeVar, for being such a class act and for all you've contributed, not only with Trek, but all the positive things you do for kids. you are a true role model. i hope you get your wish to have a Trek TNG finale. Geordi has to have a chance to fix Data!!! your cohort, Spiner, almost destroyed the franchise with his assenine desire to kill off his character. most people think he succeeded. what a shame! we need one more film to set the record straight and give us a chance to see ALL the great TNG characters ride off into the sunset. Here's how I see it. Data, just before he was destroyed in the last STNG movie, imprinted himself in the android "B-4". When they make the next STNG movie, Geordi will activate the Data imprint on the B-4. That way Data will not have "died" afterall. Just like Spock did with McCoy before he "died". They need to make this next movie quick cause some of the characters are putting on a few pounds (and years) if you know what I mean!!! "geeks have inherited the earth"
Totally agree. With the advent of technology in the new millenium. If you really were walking around with a cell phone as large as the flip open communicator that Kirk had, people would laugh at you. Kirk's communicator was HUGE. ummm have you ever seen the first mobile phones?...bigger than an old tricorder! Rog is correct; the first cell phones were about the size of a brick, and nobody laughed at them. Yeah, does your cell phone transmit hundreds of miles (and even into space) by itself with its power source and transmitter/receiver built into it? It's hard to get world wide coverage and it requires several intermediate devices to get the signal where its going (cell towers, satellites and even groundlines for internet calling). When they finally come up wit ha communication device that can do what a ST communicator can do I really hope that it is that small at the outset! Isn't it cute when young people think that the world began when they did? Like there was nothing in existence prior to their own memory of it? Awwww. No, Dr B, it's so not cute. Makes me want to step on the stupid little things. There are so many of them around, they lower the tone. The first car phones were built actually into your car. Tim, your knowledge of history is unimpressive. Go back to school and stay there until you learn the history of electronics. The flip phone was inspired by the STAR TREK communicator. LeVar is one classy guy. He has always been involved with educating young people. We need more people like him. LMAO! thanks for the laugh, both in content and spelling. Where did you learn to write? Hillbilly high school? I do the reverse: Everytime I watch TNG and watch Geordi go into a long-winded (always upbeat) technobabble explanation, I wait for him to finish then yell, "But you don't have to take my word for it!" I fly my geek, too.